Are you a trend-spotter? If so, you've probably noticed the hottest new thing: listening. Listening is hot. It's about to blow up bigger than mindfulness, even. It's been lurking backstage, this "listening" trend, biding its time as we saturate ourselves with news feeds and social updates and Kardashian-Jenner product shills. Maybe you caught a whiff with the new business model, where companies replace their pummeling sales pitch with dialogue. If you follow the Black Lives Matter movement, you've heard the shoutout to white allies: "Talk less, listen more." But a thing can't be "a thing" until the teenagers claim it as theirs. Enter the Parkland kids. With mics in their hands. On Pennsylvania Avenue. Forcing us to listen. What we think they're saying is, "Enact stricter gun policies." What they're actually saying is, "Sit down, shut up and listen carefully, adults: We got this." And they speak for teens across the country. There's always been a gulf between generational worldviews. Today, it's more of a chasm. As kids, us grown-ups had to want to learn about the world outside our own. And were you really motivated enough to hit the library, open those maroon Encyclopedia Britannica covers and school yourself on extinct species of the African veldt? Probably not. Kids of our era valued what we could see: our high school hallways; our local mall; the lives of the rich, pretty, popular kids in John Hughes movies. Our goals likely involved becoming rich, pretty and popular and talking loudly enough that everyone knew it. Some of us bullied the poor, ugly loser kids. Today's teens, on the other hand, grew up with a shiny, glass-faced Britannica right in their pocket, ever updating with animated visuals on climate change, human rights abuses and hate-based mass shootings. They've learned unequivocally that "flawless" beauty is fake. That queer is normal. That profit mongering is killing the planet. Their goals are around inclusiveness, life balance and healing the world. They troll the old vanguard who created the mess they plan to fix. Parkland, Florida's, Marjory Stoneman Douglas High School was described on NPR by one of its teachers as "the kind of place where they don't really take no for an answer… [if students] have an 89 in class… they'll just persevere until they get that A." The most famous Parkland students — Emma González and David Hogg, two of the teens behind anti-gun violence movement #NeverAgain — took advanced placement classes covering topics like gun control and special-interest groups in government. When old-guard laws enabled a mass shooter to hit these kids on their turf, a perfect storm was triggered, and the younger generation found their spokespeople. A close read of Time magazine's article, "The Young and the Relentless," by Charlotte Alter reveals both the Parkland kids' communicative brilliance and Generation Z's approach to interpersonal conflict. Let's compare old- and new-school tactics for swaying the vox populi. Leslie Gibson, former Republican candidate for Maine State House, had to drop out of the race due to a snub-fail. His tweet — in which he called González a "skinhead lesbian" — was both mean, painting him as unlikeable, and ignorant, because who would be simultaneously a skinhead (an antigay white supremacist) but also queer and Latina? Dude. Sit down. Shut up. Listen. González nailed the new-school put-down in her description of #NeverAgain's foil, NRA spokesperson Dana Loesch, deeming her "very hot but kind of scary." There's so much win here, right? "Very hot," a compliment, gives us warm fuzzies for the insulter. Because yeah. Loesch is hot. And who's kind enough to praise their enemy? Emma González is, apparently. The teens flex that crackerjack wit to emphasize their point: Adults are problematic, so the kids are taking over. On the lack of gun reform in the face of school shootings, González describes her impression of adult America: "It's like they're saying, 'I'm sorry I made this mess,' while continuing to spill soda on the floor." Cameron Kasky speaks with the same balance of clout and kindness, addressing the current politicians: "You have two options. One: Do what we say. Two: Enjoy your last term." Part of the Parkland kids' allure is that they have chutzpah. Or as Time puts it, because they're teenagers, they're "impervious to the etiquette expected from adults." Well, they may be impervious, but based on the flames thrown at González and Hogg, there's a slew of adults out there who are decidedly not impervious to their message. In a New York Times article, Hogg sums up the why behind these abuses: "We're kind of the faces of the movement. Together we kind of form an unstoppable force that terrifies them…because they know we're strong." The "them" Hogg refers to, of course, is the NRA die-hards. But those guys aren't the only ones clinging to that old screed, "Children should be seen and not heard." Far from it. As a teen life coach (and in my prior career as a high school teacher), my literal job is to listen to teens. And as recently as five minutes ago, an average American teen was just telling me, "We're taught never to talk back to our elders." Another chimed in with, "I was taught to be silent and hold my breath until I'm away from [the] adults." This child-muzzling paradigm has in the past benefitted many powerful grown-ups — the Catholic archdiocese of Boston, USA Gymnastics doctor Larry Nassar, Penn State's Jerry Sandusky, USA Swimming… the list goes on — while wreaking havoc on numbers of powerless children. No wonder the kids are pissed. No wonder they're shaking off that muzzle. Your everyday teen is watching the Parkland kids. Watching and learning. A 17-year-old sent me a DM: "We are seeing kids fighting for their voices to be heard, and they don't care who they offend… Parkland students are meeting with representatives and telling them to their faces that they aren't doing good enough and [the politicians] are making excuses." A brassier kid chimed in with, "Well I guess that means it's really time for a change in [how] these adults think." But even if we adults don't change, maybe it doesn't matter. Maybe the kids don't need us to listen. The Parkland teens have made clear where their loyalties lie, and it's not with the grown-ups. For the March for Our Lives rally, only young speakers and artists were allowed to present. Their stated goal is to get 4 out of 5 young people to vote in November's midterms. The only thing they want the grown-ups to do? "Order pizza." And in fact, their voices are already creating change. 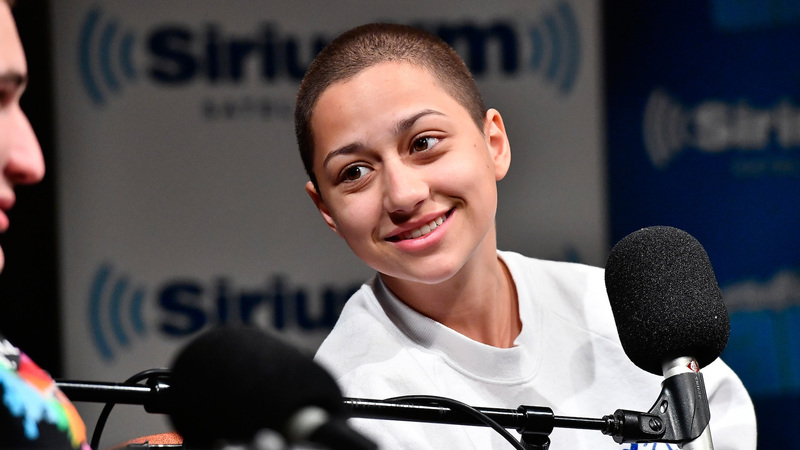 Eleven days after creating her Twitter account, Emma González had more followers than the NRA. Despite the threat of punishment from school administrators, close to a million students participated in the teen-organized National School Walkout. Youth activist groups across the country are emulating and collaborating with the Parkland kids. And boom: On March 9, Florida passed its furthest-reaching gun legislation in 20 years. So even if we grown-ups can't — or won't — shut up, the kids will be all right. Still, it would behoove us all to listen and learn now so we'll know how to play by the next generation's new kind, humble and fearless rule book. Or, you know, we can just go with option two and enjoy our last term.